Dupont Cirlcle and Kalorama are some of the most desired locations in all of Washington, DC real estate. Just north of downtown in Northwest, the neighborhoods’ elegant row houses on tree lined streets border Rock Creek Park and famous Embassy Row. In fact, the word Kalorama in Greek translates to “beautiful view,” speaking to how many of the homes and condos boast views of both the National Mall and National Cathedral. Historically, the area has been home to Washington’s political elite, including four Presidents and the late Senator Edward Kennedy. The hub of activity around the Dupont Circle and its Metro Station functions as the neighborhoods’ commercial zone. Residents in Kalorama and Dupont have walking access to one of the premier areas in all of Washington for good restaurants and engaging nightlife. Furthermore, Dupont Circle is home to some of the world’s most prestigious think tanks, including the Brookings Institution and the Carnegie Endowment for International Peace. It is also home to the Phillips Collection, which opened in 1921 as the nation's first museum of modern art. The residential areas themselves are noted for their historic feel. Both Dupont Circle and Kalorama are listed on the national registrar of historic places due to their famous residents and prevalent Romanesque architecture. 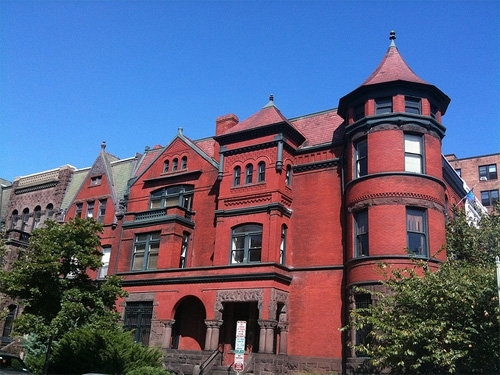 Buyers in Dupont Circle and Kalorama benefit from their location in Northwest with public school students attending the well regarded Woodrow Wilson High School. Still, many homeowners in the neighborhoods opt to send their children to the abundant private institutions located in the surrounding neighborhoods.